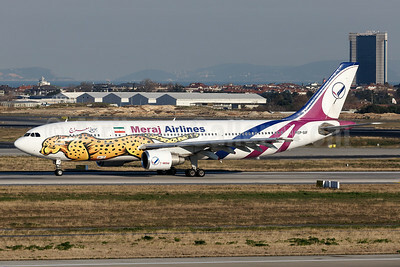 Meraj Airlines Airbus A300B4-622R EP-SIF (msn 762) (Asiatic Cheetah) IST (Arnd Wolf). Image: 946112. 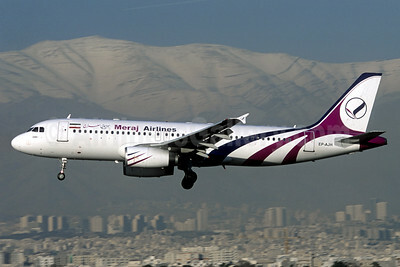 Meraj Airlines Airbus A320-233 EP-AJH (msn 530) THR (Jacques Guillem Collection). Image: 936805.